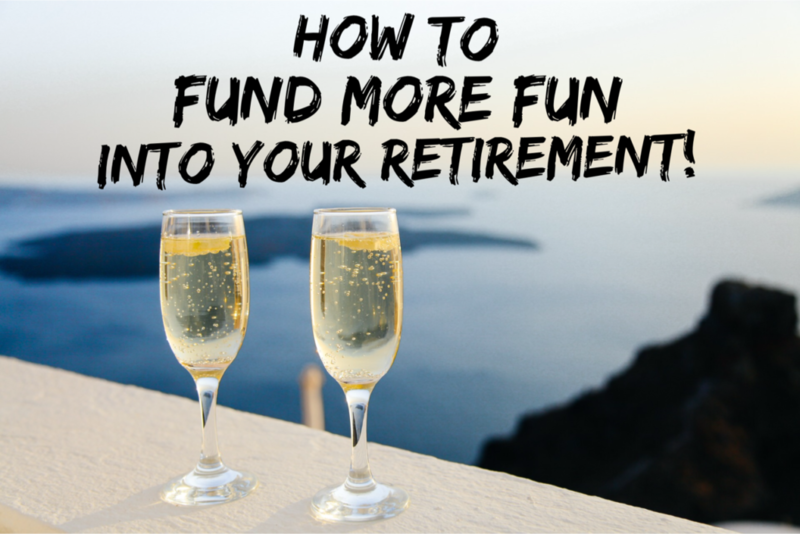 How To Fund More Fun Into Your Retirement! How many years do you have left before you can walk away from your job for the last time and enjoy life in retirement? More importantly, have you worked out how you are going to cope financially when those pay packets no longer land regularly into your bank account. The sooner you take action and work out how to fund more fun into your retirement the better off you will be. Relying on the age pension and your superannuation may simply not be enough to guarantee the freedom you would like in your golden years. You can’t party on the pension! Even if you own your home outright, life on the pension will not allow you much room for play. The current payment for a full pension is $436.00 per week for a single and $658.00 for a couple (eff. Nov 16) and at first glance that looks ok and you can definitely get a counter lunch or two at the local club with that. Prepare even the most basic of budgets and by the time you have allowed for major expenses like rates, insurance, health insurance, home repairs, food, electricity and motor vehicle expenses, there wont be much left for holidays or filling the fridge with Moet. The introduction of compulsory superannuation has ensured that every working Australian will have something in their fund to use in retirement, but unless you have contributed additional funds personally or have an employer that has added more to your fund as part of your employment package, you could be very disappointed in how quickly your super is spent. The equity you have in your family home can be the key to lots more fun in retirement. In almost every part of Australia, real estate prices only go up. Purchasing an investment property sooner rather than later could provide you with an asset that continues to grow in value. Depending on your circumstances when you retire you could sell the property and enjoy the capital gain or continue to receive rental income. Throw in the tax benefits that can come with real estate investment and you could be on a real financial winner. There are plenty of things to consider when choosing an investment property such as location, close access to important amenities such as public transport and schools, as well as current demand on properties in the areas that appeal to you. Before you get excited about seeing ‘SOLD’ splashed across the ‘For Sale’ sign it is imperative that you do your homework and please get advice from experts in financial planning and real estate before you make large investment decisions. It is very easy to get a little carried away when looking into buying an investment property. On the surface everything may look fresh and fabulous, but you need to be very wary of vendors and real estate agents that have only one goal in mind. Sell the property! With the help of paint, fake walls and floors or new tiles, a myriad of problems can be hidden from sight. The last thing you want is to buy a ‘lemon’ that will require you to sink your savings into big ticket repairs and maintenance outlays. It is absolutely imperative that you have a thorough building inspection done buy an independent expert in preference to a company suggested to you by your agent that might not provide a completely accurate report. Action Inspections are a fully accredited and compliant company that have been providing concise property inspections in my home town of Brisbane for 28 years. You will be amazed at the extent of detail that goes in to providing a Pre-purchase report. If you are anywhere else in Australia, a quick internet search will help you locate a suitable company in your area that could save you so much money in the long run. Don’t forget to ask friends and family for recommendations as well, they will know whether their report was accurate or not. Retirement should be all about sleep ins, planning fun getaways or spending quality time with family and friends rather than a continual circle of stress about how to pay the bills. An investment property has the potential to help you fund more fun in your retirement. You have worked hard for all that you have, make sure you don’t jeopardise any of that by making choices without expert assistance. * This is a sponsored post, all opinions and ideas are my own. Have you made any plans for retirement other than superannuation? 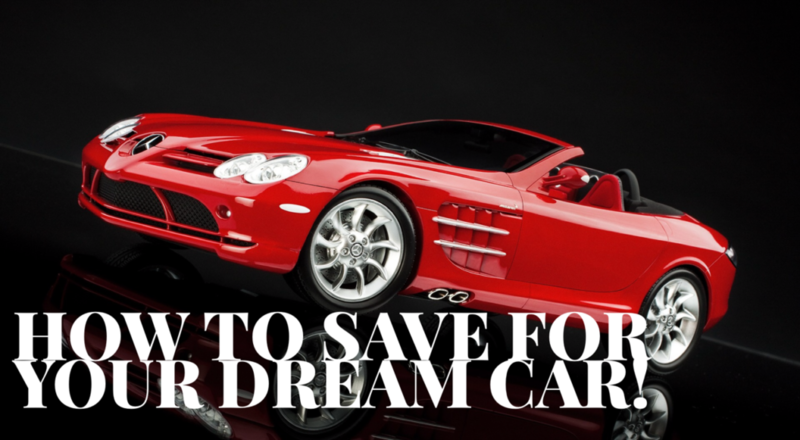 How to save for your dream car and make it a reality! Have you ever had that feeling that your paycheck seems to disappear miraculously the moment you receive it? You even start wondering whether or not you have a hidden pocket that eats away at the money from your wallet. Truth be told, there are always some expenses that you need to take care of, which makes it difficult to save money for that car you’ve had your eyes on. Difficult, but not impossible. Here are some tips from Bad Credit Car Loans for you to successfully save some money for your dream car. This might be a good time to say no to new designer shoes and yes to your weekly savings. The first step would be to set some money aside for essentials, such as rent, food, living costs and the occasional weekend outing here and there (we’re just mere humans, aren’t we?). Once you’ve chosen your dream car, set your goals: when do I want to buy it? How much do I have to save every week in order to get it? The more you save, the less you’ll have to pay for car loans, so keep track of your budget. A savings account with a high-interest rate would be one of the best ways to successfully save some money. You can set up a deposit that automatically saves from your salary, no matter if it’s weekly or monthly. If you don’t plan to buy the car very soon, you might want to opt for a term deposit; once you do that, you won’t be able to withdraw money during that period. Just so you won’t be tempted, be sure that you open a savings account with limited access. That way, the money will build up, and before you know it, you’ll be on your wheels. Buying a car that is a few years older can save you a lot of cash. New cars are usually all the vogue, so they’re bound to have a skyrocketing price. However, be careful of the cars whose prices seem too low than their average on the market. You might end up having to pay more for repairs and improvements than the actual value of the car. Once you finished saving for that car, start honing your negotiation skills. Get acquainted with the vehicle and approach your car seller with confidence and ease. If you already have an idea of what the vehicle is worth and how much you’re willing to pay, you might be able to get a good deal which will save you money. If you learn how to save money properly, buying a car will be as easy as saying “hot wheels.” Just say no to some of the expensive night outs and designer products, and you will see at the end that it was worth it. Keep our advice in mind and start saving for that car right now! 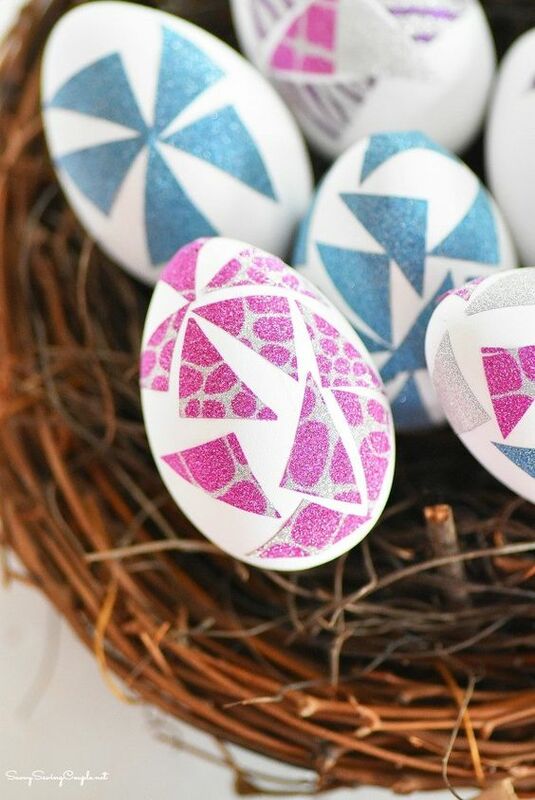 Pretty ways to decorate eggs for Easter! When I want some inspiration for the holidays I cant resist scrolling through my Pinterest feed. Over the last few weeks, so many lovely Easter eggs have caught my eye. 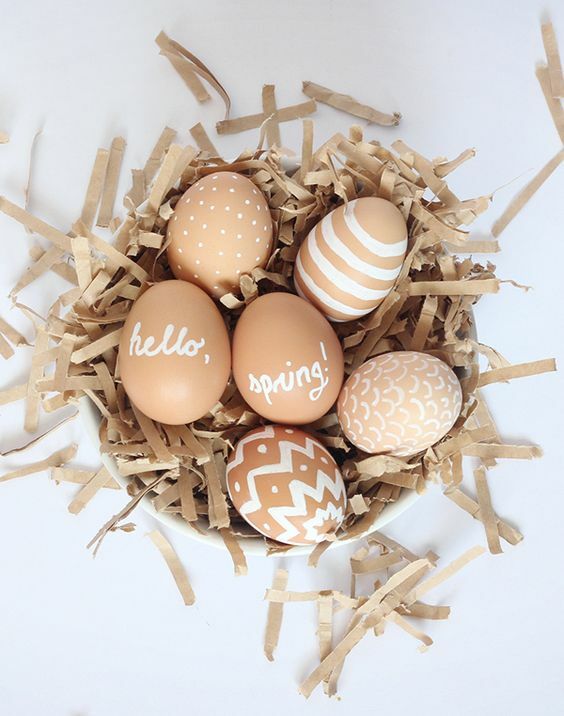 These eggs are easy to make and will look lovely in the centre of your table. Even the most craft challenged could whip these up in a flash. 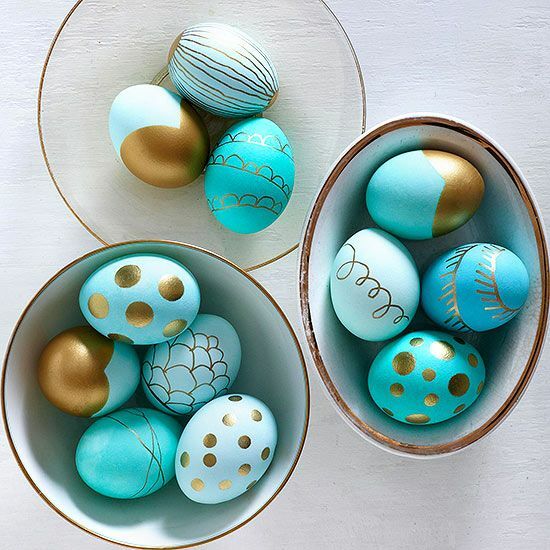 Tiffany blue and gold eggs would make a very classy addition to the Easter table. If you like to keep glitter and sparkle out of your decorating theme, these would be the perfect choice. Whilst it may not be spring in our part of the world, it is still warm enough to feel like it. If it involves glitter, I am in. 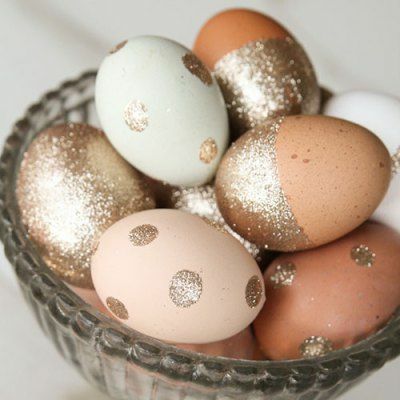 Glitter and glue instantly transform the humble egg into something rather wow! How to can be found here. 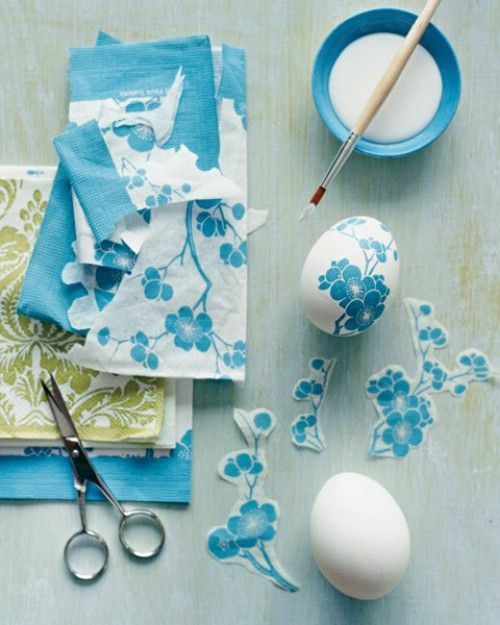 Serviettes are great way to add pretty prints to your eggs. As the paper is so thin, it is easy to glue down and bend to mold the shape of the egg. 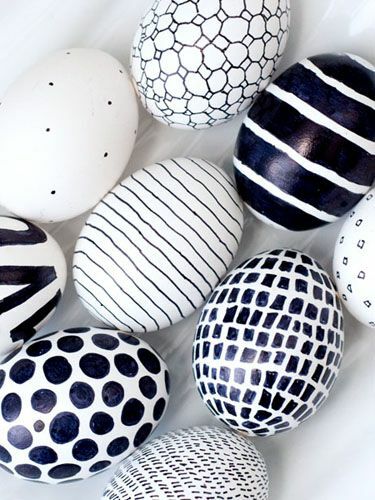 Hints for these eggs and 79 other ways to decorate them can be found here. The modern home does not have to avoid Easter decorating. It is not all about pastels. Get out the sharpie and go for it. Washi tape is the best crafting invention since sticky tape. Available in every craft store and cheap shop, the colours and designs are huge. If you can wield a small pair of scissors, then these will be a cinch. If you want instructions get them here. For more Easter ideas you can pop over to my Pinterest board. Sharing for #FYBF at With Some Grace. Lotto fever is taking over the world this week as the biggest prize is up for grabs this Thursday! $1.3 billion big reasons why so many people want a ticket. That is a lot of coin! Unlike Australia, lotto prizes in the USA are taxed, but hey, you would still receive approximately $880 million and with our underwhelming Australian dollar you would receive an equivalent of about $1.2 billion AUD. Those numbers seem pretty damn good to me. You would get your name on the Forbes Rich List overnight. BUT what to do with such a huge sum of money? You could follow the golden rule of winning big money and not losing it within the first 12 months (which happens to many big prize winners) and that is to spend half and save half. 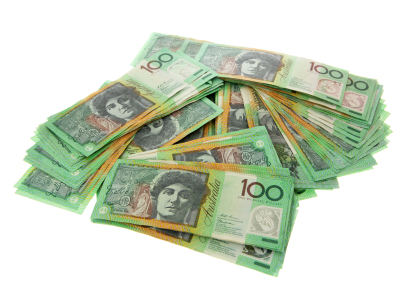 Even with our measly interest rates, a simple term deposit of $500 million would net you $12.5 million per annum. Even after tax I could live on that. All my dreams would become an instant reality. Actually I would have to rethink them and blow them even bigger. My family would want for nothing. All the travel destinations on my list would get ticked off. My favourite charitable organisations would not know what hit them when my cheques arrived in the mail. I would also set up my own. There would be time to craft, read and drink cocktails staring at oceans. Retreats, conferences and masterminds would be scheduled in without a second thought. New skills would be learned. Yes, I have got a ticket in the draw. Thanks to lottoland.com.au, Aussies can buy a ticket in this mega dream. What would you do with that much cash? How To Teach Teens To Be Savvy Savers! Both of my girls could not wait to be old enough to get their first job and earn some real pocket money. They both got jobs at Woolworths like so many other teens and with the excitement of earning their first pay packet came the need for them to learn how to be money savvy with their new found ‘wealth’. Gone are the days of popping into your local branch to deposit money, it’s all about internet banking now and finding the right account that lets your teen have control over their spending and savings. If they start establishing good habits from an early stage, this will help them greatly in a couple of years time when they will be thinking about their first big life purchase, a car! Getting car finance is a much easier task if your teen can show a regular savings habit. This post is brought to you by IMB Bank. Before they put their uniform on for the first time and turn up for their first shift, there is two important tasks that must be completed. 1 – Tax File Number – Applying for a Tax File Number is free and easy. Your child’s school should have the necessary form that needs to be completed and sent in to the ATO. Your teen will need a Tax File Number for their employer so having this set up before they secure a job will make things easier for them to start quickly. 2 – Open a suitable bank account – It is time for your teen to have a bank account with card access so they can go shopping with their money instead of yours. Their wages will be paid by electronic transfer into this account, so again it is best to have this all up and running before they start work. The sooner your teen starts saving even a just a small portion of their weekly wage, the quicker it will become a habit. They will discover the joys of earning interest (free money in their eyes). Big ticket items become a reality and they will be learning one of the most important financial lessons in life, save for the big things not depend on credit cards to get you what you want at a much higher price. A sub-account is a second account attached to an everyday account. Logging into internet banking on their phone or computer will show both accounts and switching money from one to the other is quick and instant. Sub-accounts are interest bearing and it is the perfect place for your teen to watch their savings grow over time. Both of my girls have become masters of switching money into their sub-accounts and will often transfer almost all of their pay into it. When they want to spend some of their earnings, they simply transfer money back into their everyday account. We do know a few people that have been the victims of card fraud, so by keeping most of their funds in their sub-account, if anyone should get hold of their card numbers, they wont get to have much fun because they keep so little in their everyday account. Both of my girls love to shop, and I was concerned that as soon as they got their first pay packet, they would go and blow it all. I had to let go and let them make their own decisions. I had to trust their choices. Much to my surprise, both girls loved seeing their savings growing and even set themselves limits of how low their savings account could go and would only allow themselves to spend what was left over. Miss WW had no trouble securing car finance when she bought her second car and decided to get a brand new one with 7 years warranty instead of an older car that would constantly need expensive repairs. It is great to see young people savvy about finance and making responsible life choices. Are you a saver or a spender? What valuable money tips are you sharing with your teens? Love it or loathe it, if you earned income in the last financial year, you have to lodge a tax return. I have always lodged my own return with the exception of one year where I paid a Tax Agent to do it and saw no benefit at all. Not wasting that money again! First it was the Tax Pack paper system, and then eTax came along. I got used to it, and the only thing that annoyed me was wading through so many pages that did not apply to me. Fortunately my financial affairs are quite straight forward, so I decided to get on the band wagon early this year and instead of putting it off until I HAD to do it, I jumped on the ATO website to download eTax 2014 and made a very pleasant discovery. There is a fabulous new, simplified version of eTax called MyTax. You will need a Mygov account to access MyTax. If you already have one, you simply login and add the Australian Taxation Office link. If you don’t have one, just like me, it took me all of 2 minutes to have it set up and active. With just 10 straightforward pages to complete you are done. Thanks to ‘pre-fill’ a lot of my information such as wages and bank interest was automatically added for me, which saves time and helps avoid mistakes. If you have all your figures worked out before you log in, it will only take 5 – 10 minutes! If you need help to clarify anything, MyTax contains clickable links just like eTax. The Australian Taxation Office has a quick check guide to help you work out if you are eligible and you can access it here. If you think you are due for a refund, get lodging! MyTax is just awesome and you won’t believe how easy it is. Do you do your own tax returns? What will you spend or save your refund? An easy way to avoid big bill pain! Do you have one of those horrible big bill months? Most families have one or more months a year where a host of bills are all due at the same time. Panic can set in when you see the mailman arrive. In a perfect world, we would have more than enough money to pay every bill that comes in without batting an eye lid. BUT reality is that many people do not have this luxury or do enough forward planning so that when the bills arrive there is enough money in the bank account to cover the accounts with ease. 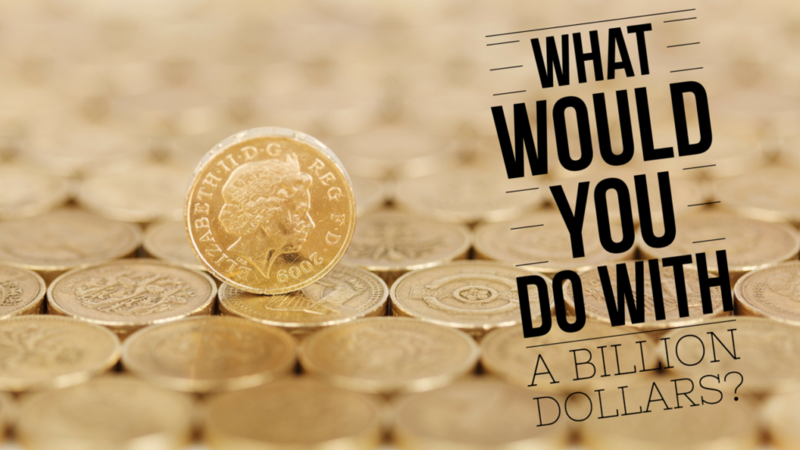 Ideally everyone would sit down once a year, work out the total cost of all their main bills, organise a budget that would see enough money each week being transferred into an account ready for bill paying. There would be no temptations to spend this money on those designer shoes that have been reduced, or blow it on a luxury weekend away……only the truly dedicated have this sort of planning in perfect action. There is an easy way to take care of the majority of your bills that has worked well for me over the last three years since I became a single mum and had to get things under control in a way that suited me and it can work for anyone. All of my insurances, telephone, internet, electricity etc. is deducted from my account each month. 12 small slices instead of one big slab each year. I do pay a small premium on some of the bills to use this service, but it gives me piece of mind and I never have to worry about forgetting to pay an account or stressing about having enough at any one time. You will be amazed at the number of institutions that offer this service, you just have to ask. The only large account that does not have this option is car registration, and it would be fabulous if they did, I am sure there would be less unregistered cars on the road if people were able to use this option. Stressing about cash flow is such a negative energy and you will continue to attract more stress about money if you don’t take action and release the panic. Take control of your accounts and life is certainly much easier. How do you deal with your bills? If you would like to see your abundance and prosperity grow in 2014, why not use a little Feng Shui to help you on your way. Feng Shui is all about the energy of your home and how it affects those that live in it. Without getting tooooo technical about how it all works, with just a little general knowledge you can focus on the area of your home that is your ‘wealth’ sector and with these handy little tips, increase the good money vibes in your life. These simple tips are easy to follow and can have a profound influence on your wealth! – Always keep the toilet lid down – the toilet is basically a big drain, and leaving the lid up, leaves this big drain open, and signifies money continually draining away from you. – Fix dripping taps immediately – dripping taps are allowing ‘wealth’ to drip away so always have any plumbing issues fixed immediately. – Keep your oven and fridge clean – these large energy sources in your home must be kept as clean and fresh as possible. Leftovers and rotting food create negative energy and have a negative affect on your finances. – Keep your kitchen benches as clear as possible – especially if you have a knife block on your bench, hide it away in the cupboard, as these ‘cut’ into your financial wellbeing. Now when it comes to your home and your money, the South East sector of your home is the one that needs nurturing and care. You can locate this area of your home by standing in the centre and us a compass (most smart phones have one) or use google maps to locate your property and it shows the direction of true North so you can work it out from there. You don’t need to get to concerned about the exact area, just keep in mind there are 8 sectors all up North, North East, North West, East, South, South East, South West and west. Your South East sector is one-eighth of your home. The South East is governed by the element of wood. So all things made of wood, the colour green and lush plants will lift the energy. Avoid the colour red as much as possible as red represents fire and this ‘burns’ wood. Go easy on anything metallic as metal ‘chops’ wood. Both of these elements harm the wood energy. Items that are blue or black in colour represent water and of course wood needs water to thrive, so adding these elements improves the energy. Place a bowl in the South East and keep all your spare change in it. 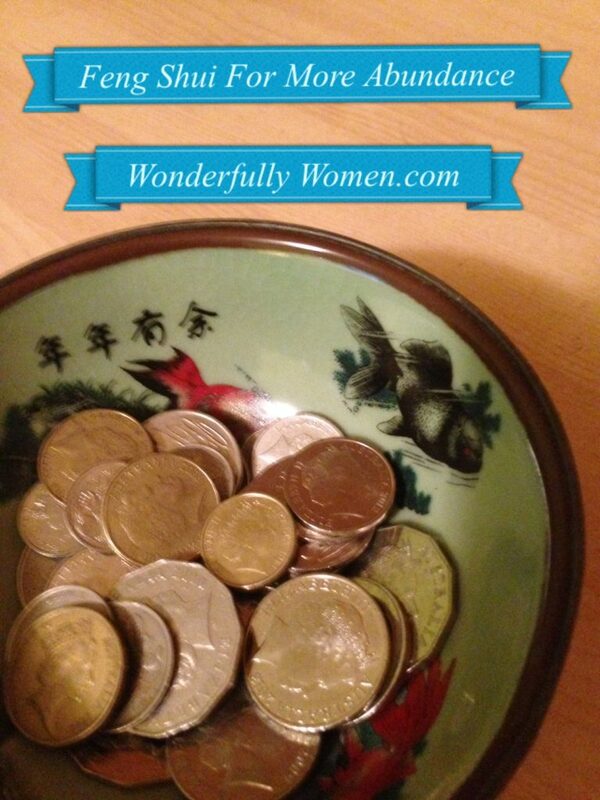 Keep adding coins to this bowl as this represents ‘growing’ your wealth. Try and keep this part of your home very clean and clutter free. Open a window or two and allow air to flow through everyday as this invites in fresh new energy. If you would like to learn more about Feng Shui, my favourite Feng Shui author is Lillian Too. She has written so many books on the subject and explains things clearly using plenty of pictures. Buy one of her books or borrow one or 10 from the library. It is a facinating subject and incredibly powerful way to influence your good fortune. Do you use Feng Shui principles in your home or have you never heard a thing about it? How To Stop Jealousy From Stealing Your Good! 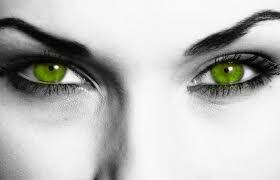 How often does the green-eyed monster rear it’s ugly head in your life? Jealousy and envy are very powerful emotions. Everytime you allow these feelings to take control, you are giving away your power! Everyday we are faced with visions of things we would love to be, do or have. Social media, television and magazines will provide lot’s of food to feed the monster within. Daily we are bombarded with images of other’s successes, good looks, gorgeous bodies, exotic holiday destinations or new toys. All sorts of things we would love, but probably don’t have, or we would have no need to feel jealous or envious. Every time we react with a jealous or envious feeling, we are putting up a big energetic wall that stops the things we desire from coming into our life. We are sending out a loud signal that we DONT have, and in a perfect response to that energy you continue to receive what you DONT want. If you change how you respond to these triggers, you change what you receive. SIMPLE! In theory yes it is simple, but in practice is is not always so. Here is a little ‘trick’ that you can try, next time the green eyed moster comes calling…. Respond to the trigger with “OH, YES THAT IS FOR ME – THANK YOU“. With this response your energy is affirming that you do want that experience or thing in your life and you are saying thank you in advance for receiving it. Try it and feel the difference! To really send a powerful positive message, you could always add an affirmation. Make up your own, just ensure that it is positive and is worded as though you already have it. You are a powerful manifestor, go forth and receive your good. 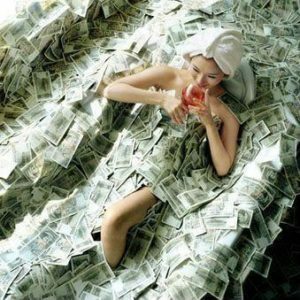 Wonderful Affirmations For Making More Money! Affirmations are a powerful tool for chaning any life situation that is not working out the way you would like it to be! Money is one of those things that many of us have a stumbling block with, when reality bites, and there is not enough coin at the end of the day to pay all those bills or build our savings. “I can’t afford it”, “I never have enough“, “I can’t pay those bills”, “There is never enough”, and on and on the reminders keep occuring, often accompanied by feelings of fear and pain! I have made some silly money mistakes in the past that have caused much pain and anguish. Changing my beliefs and feelings about cold hard cash, have not been easy, but definately worth it! I don’t care what anyone says about the downside of having lot’s of cash! I can guarantee you they don’t have much. 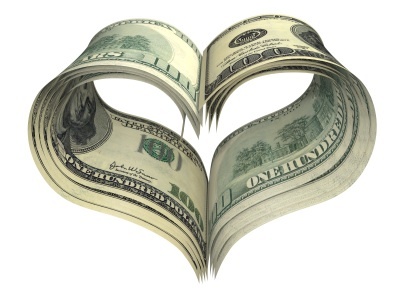 Money gives you freedom to do things when you want, to buy things you love, and to share that joy with others. The most important thing to remember when using affirmations, is to get some postive feelings happening when you recite them. You can talk through them over and over, but if you can feel pain, discomfort or dread as you say them, they are not helping you just hindering. When I first started using affirmation to change the way I think, I often found that I felt worse when I used them. My brain wanted to remind me that there was NO WAY you can acheive any of that. Bad money memories have a way of reminding you that they are there, by simply making you feel lousy. One way I found eased the discomfort was to add the word ‘becoming‘ into my affirmations, for example……”I am debt free” was softened to “I am becoming debt free” and this is more believable and caused less discomfort. GREAT WORDS TO GET YOUR MONEY ON! Pick and choose, or use them all. Focus on what you do want financially, not on where you are or where you have been. Only YOU have the power to change your thoughts and feelings in regards to money. If you want more, start ‘talking’ yourself into it. We all deserve abundance and the joys it can bring. Do you let money fears control your thoughts? How To Raise Financially Clever Kids! Are you teaching your children to be good money managers or do you have some not so awesome habits that your children will take with them into adulthood? During their early primary school years, is the most valuable time to start teaching them great money skills, as they absorb so much information and create the patterns for the future. No matter what your financial past looks like, even if your current situation is far from perfect, your children do not have to suffer the same fate. If your current money habits, create tension and stress, your children will pick up on this, and will develop fear about financial matters. The following tips will teach your children valuable positive money habits that will last a lifetime. 1. Let all family members be involved in budgeting decisions – Children are really good at wanting everything, now! Help them learn how much things really cost. Show them how much the groceries cost each week, if you are planning a holiday, teach them how to read brochures, show them an electricity bill and explain to them how many other things could be bought for that value, if they want to start a new sport every second week let them see how much it really costs. 2. 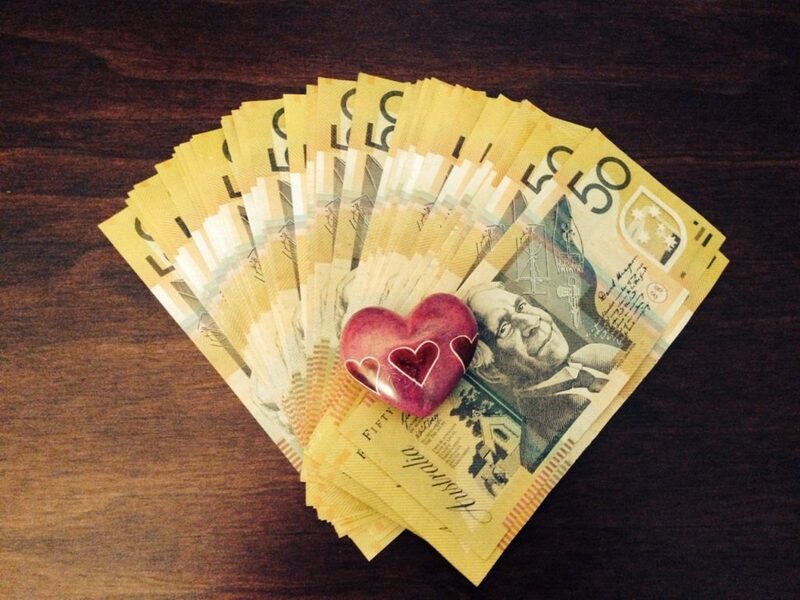 Start pocket money sooner rather than later – $1.00 for each year of age seems to be the best rate to start with. It is vital that they must contribute to household chores to ‘earn’ their money. Just handing it out, will ensure they expect everything for nothing. Have a list of extra jobs they can complete for a small bonus. 3. Let children decide how they want to spend their money – Decide how much MUST go into savings and then let them decide what they want to spend the balance on. More than likely it will be sweet treats or small toys in the beginning, but as children see their savings grow they will often contribute more of their spare cash to a savings goal. 4. Big purchases must be saved for without a loan from The Mum And Dad Bank – When your child has their eye on a special prize, let them save towards buying it. One of the most powerful lessons to learn is that mum and dad are not an endless source of cash. Even if you have got it, don’t let them know that. 5. Set up a ‘shop’ at home – Get a storage tub and fill it with fun treats from the cheap shop, or when you find things on sale in the shops. Put a price tag on every item, and when it is payday, let your children spend their spare cash in your shop. Offer a lay-by system, that children can contribute a little each week until they have covered the cost. 5. Do not settle the tab of overspending tweens & teens – If they overspend their mobile phone budget, they can live without until the next month. It will hurt like hell, and they will claim they can’t survive, but they need to learn from an early age that you are not a limitless pit, and overspending costs. 5. Open a bank account with a bonus saving account – both of my teens have a standard keycard account, but attached to that account is a sub-account that is interest bearing. Their savings are placed in the sub-account and they have already discovered the joy of interest being credited to their account for doing nothing other than leaving their cash there and adding to it regularly. Compound interest is a powerful financial tool to creating wealth. 6. Credit costs – Personal loans and credit cards cost, and the sooner children learn about the possible traps, and the high rates of interest that borrowing costs, they quicker they will realise that borrowing for things that do not appreciate in value costs dearly. Saving money for a large purchase is a much better option. 7. Explain your money mistakes and the price you have paid – your mistakes don’t all have to be doom and gloom, but valuable lessons. Let them know that they have choices and that if they want everything NOW, they could create financial disaster for their futures. Debt is one of the biggest causes of stress and destruction of relationships. Knowledge is power, and children have the chance to never be put in that situation if good habits are developed young. Some of the decisions I made in the past were horrendous, but I learnt well and even though they were very painful for me, my children know all about it and are doing all the right things already. Without a doubt some of the best lessons for my girls and their future has come from the openess in which I have explained exactly what can happen. Unfortunately schools do not spend much time teaching the valuable financial lessons that children need to be money savvy, it is definately a parents job to ingrain the good habits they can set your children up for life. Make it fun and rewarding and the lessons will be well learnt! If you enjoy taking a postive approach to parenting, and empowering your children to be the best they can be – How To Unlock Your Child’s Super Powers! – A powerful guide to help your child be the best they can be and create an extraordinary life – is over 80 pages of helpful hints, tips, excercises, and worksheets for health, happiness and success. Learn more and download this awesome e-book here. 10 Easy Ways To Boost Your Willpower! 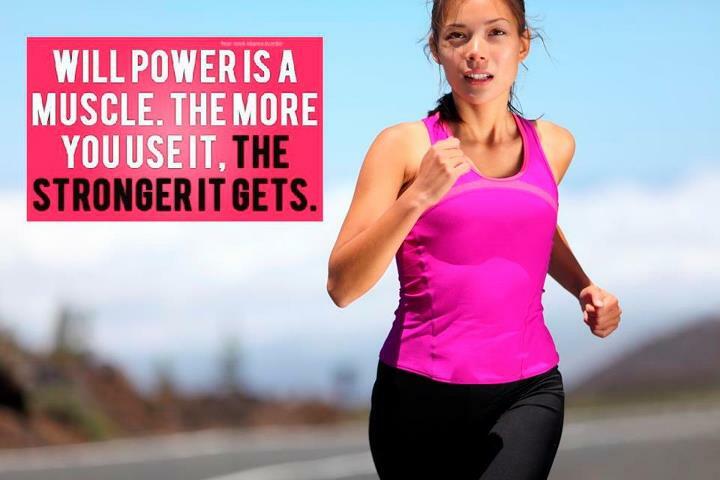 Just like muscles, willpower needs to be actioned daily to build strength and stamina! We all have dreams, goals and desires, and we are great at making plans, setting goals, and then when we have one small slip up on the path to success, we usually throw the whole plan out of the window, before we really had a chance to succeed! Exercising your mental muscle everyday, even if it just tiny steps at the start, helps to strengthen your abilities to stick with your plans and achieve success. 1. PICK ONE GOAL – Yes, yes, yes, we all want to be slim, gorgeous, wealthy, with a perfect partner, living in our dream home and spending 6 months of the year travelling the world……..but stop for just a minute…….and pick ONE goal to focus your time and energy on to start with. New Years Day often starts with a bang and you are going to change everything about your life, and by 5.oopm you have already given up because it is too hard. What is truly the most important single goal you would love to achieve. Start with one, you can always add more later. 2. FORGIVE – Forgiving all your past mistakes and failures, helps you to release all the negative emotions caught up in the memories of things gone wrong. Try the ancient Hawaiian practice of Ho’oponopono by simply chanting the following phrase – “I am sorry, please forgive me, I love you, thank you”. This is a powerful tool for clearing hurt from the past. 3. BENEFITS – Make a list of all the benefits of achieving your goal. How will you feel, how will you look, where will you go, who will you be with, how does your life look, will others benefit from your success. Draw on the power of imagination to create a picture of success. 4. OBSTACLES – Identify what is stopping you and what is causing you to fail. Once you know the enemy it is easier to avoid it. If there are particular times of the day when you often fall off the goal band wagon, be aware and plan a distraction for that time. 5. BIGGEST BONUS – Find a single word that sums up perfectly what you are trying to achieve, and put this word on display everywhere. Put it on your bathroom mirror, on the fridge, in your wallet, on the sunvisor in your car, on your computer, anywhere you go regularly around the home, so that your sub-consious is constantly reminded why you are trying to change, everytime you walk past the ‘word’. 6. FOCUS ON THE BENEFITS – Think about all the good things you will feel and see when you achieve your goal, DO NOT focus on what you have to ‘give up’ or ‘go without’ to get there! If you can find a picture that is a great representation of where you are headed that you can look at whenever you feel like doing something that will slow down your progress. 7. GET CREATIVE – Find new ways to get motivated and stay on track. Change your scenery, read books that will inspire you, partner with a friend if you would benefit from accountability, search the net for information and ideas that will help you acheive your goal. 8. WRITE IT DOWN – Keep a journal of your progress, even if it is just single line notes. Jot down positive and negative actions that you have taken. Looking back over your notes can be really inspirational and can also highlight to you any ‘bad’ habits that are continually occuring. 9. AFFIRMATIONS – Create the perfect affirmation to match your goal. Always ensure that your affirmation is in the positive and as though you have already acheived your goal. Start your affirmations with words such as “I love my……… or “I am really enjoying……. or “I am successful”. Recite your affirmation regulary, and try and feel the positive emotions of acheiving success. 10. GIVE THANKS – Gratitute is a powerful attractor. The more you give thanks for the more that will come into your life to give thanks for. Use the notes you wrote down and feel thankful that you took those positive steps. Even give thanks for the little ‘trip ups’ that might have occured, as you realise they are keeping your from your goal.